Pure Nature Life offers Homeopathy around the Central Coast and other nearby areas. This alternative medicine originated in 1796 and is a natural therapy that helps your body fight disease and stimulates its self-healing powers. 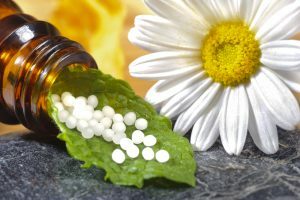 Homeopathy is a holistic medical system that uses specially prepared and diluted plant-based preparations. This therapy can treat a wide range of diseases including allergies, asthma, eczema, hay fever, headaches, stress and respiratory infections. We can help you with natural preparations that are designed to stimulate your body’s own healing response and strengthen its ability to cure itself. We first assess all of your symptoms, which can include physical, mental or emotional signs and identify the remedy that is capable of helping your specific case. If you have any questions about our Homeopathy treatment contact us now. Our skilled and experienced staff members are always happy to answer all your questions. Make an appointment now to discuss which treatment is best for you.